Half Man, Half Rat. The Lowest Of The Low! 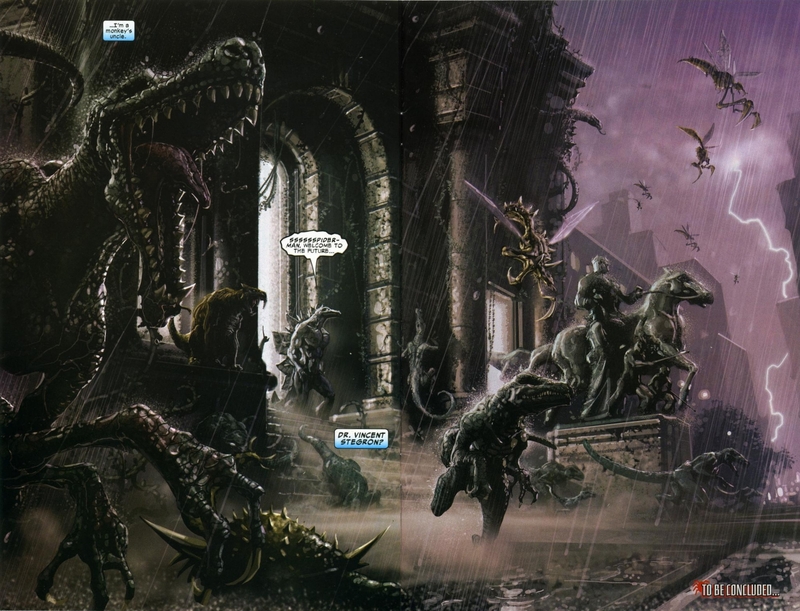 You gotta love artist Clayton Crain’s brief stint on Sensational Spider-Man. 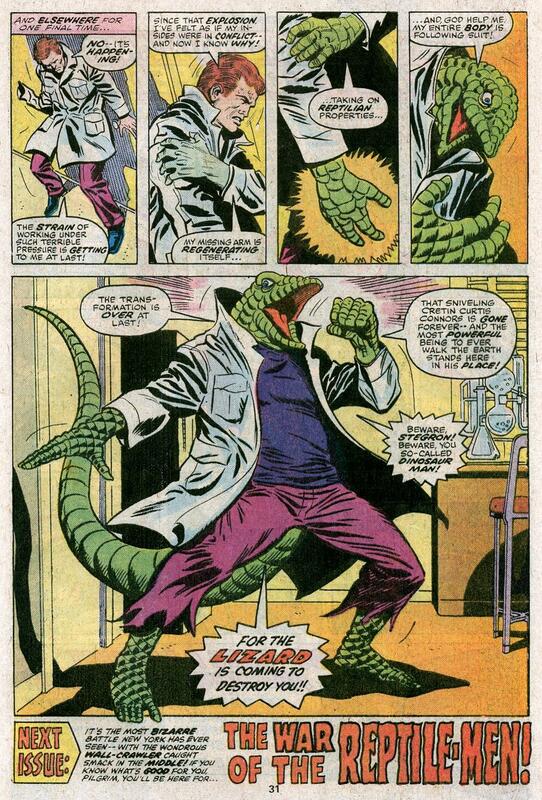 Especially since they gave him to draw – all in one issue – Vermin, The Lizard, and Stegron with an army of evil reptiles! 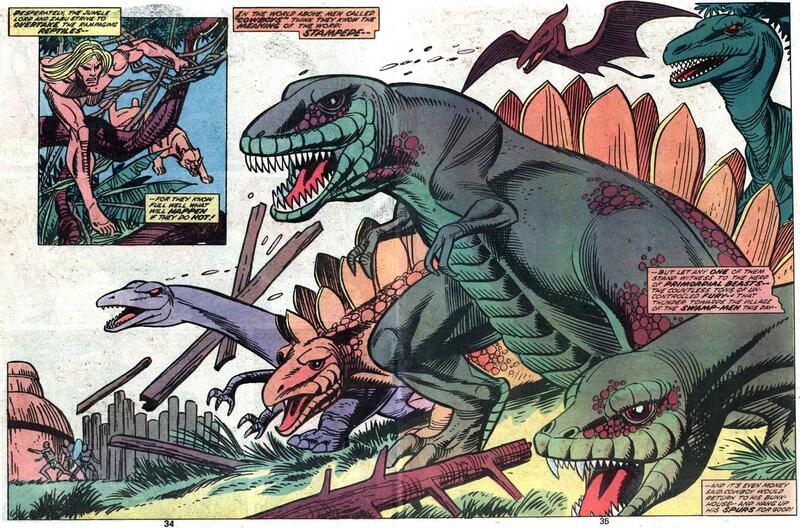 Dig that double-splash panel of the future dinosaur takeover! 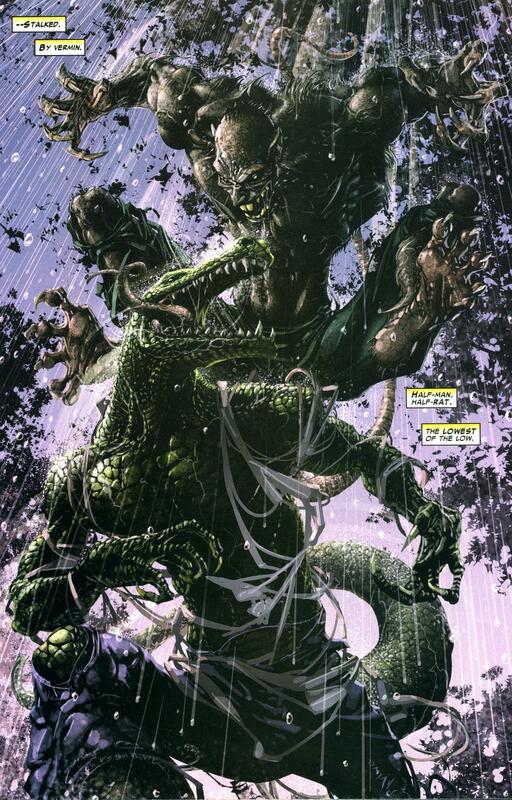 – From Sensational Spider-Man #26; Marvel, 2006. 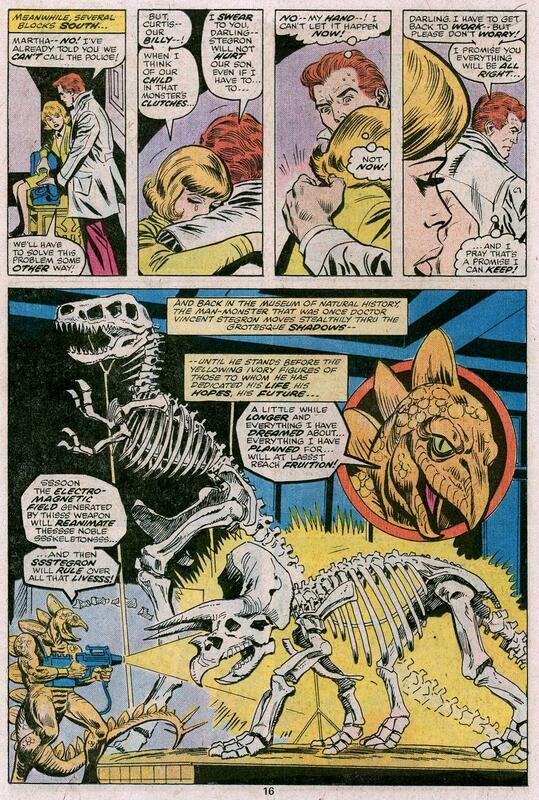 – The entire “Feral” storyline happens in issues #23-27!